"Not necessarily this outfit, but I really like late 50s, early 60s feminine looking clothes. That's what I usually go for." I love the polka dots. Also, something about the way her layered bandeau and tank top cross looks fresh and modern. 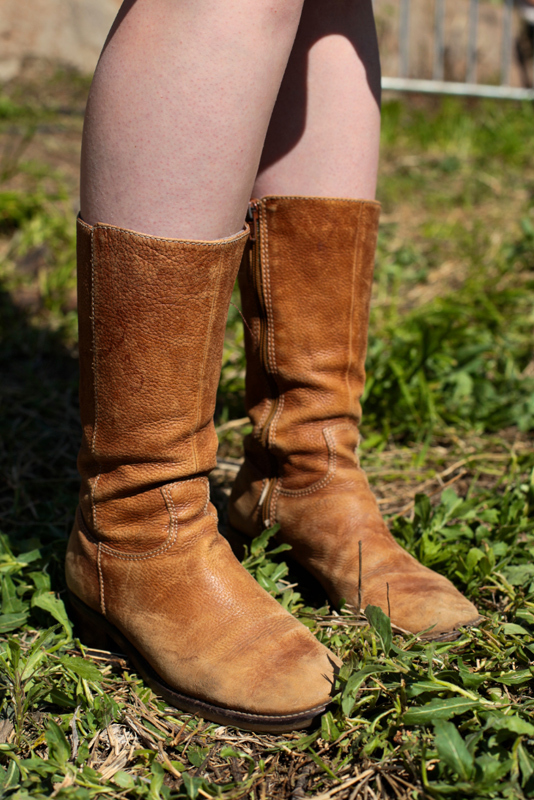 Cute basic brown leather boots.